Coming exclusively to Switch in 2018. After a tease in January, Marvelous, Grasshopper Manufacture, and Shirogumi have announced Travis Strikes Again: No More Heroes for Switch. The Unreal Engine 4-based game is directed by Goichi “Suda51” Suda and will launch exclusively for Switch in 2018. 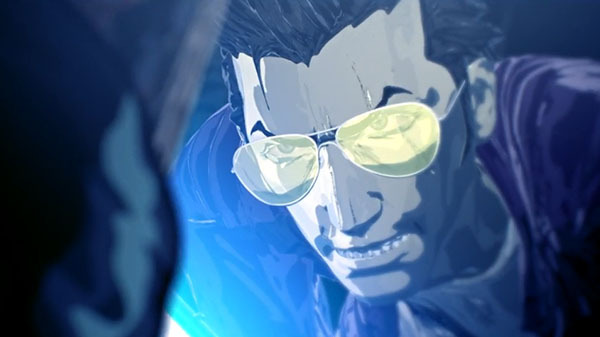 The game combines the style of No More Heroes with a number of collaborations with prominent independent game developers (more information coming at a later date, but the developer of Hotline Miami was teased). Seven years after the events of No More Heroes, The Bad has returned to exact his revenge on Travis Touchdown for the murder of his daughter, Bad Girl. But just as the battle begins, the two men are inhaled by a phantom game console called the Death Drive Mark II. Just like the original game, the only way out is to battle through multiple punk-rock levels to clear all six games and their respective over-the-top bosses.